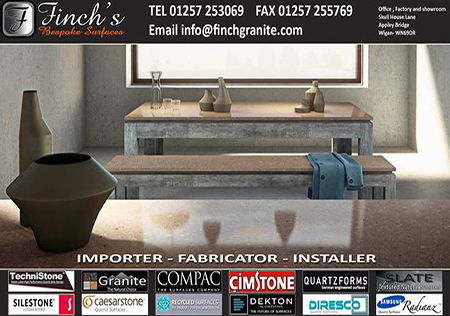 Here at Finch's we specialise in Granite and quartz kitchen worktops from leading brands such as Silestone, Caesarstone, Samsung, Dekton and Compac. Finch’s Stone & Marble Ltd, a family owned and run company with over 100 years’ experience in the stone industry. One of Britain’s oldest independent granite and quartz fabricators. 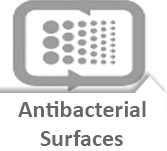 The advantage of buying your Granite or quartz surface from Finch’s is that you deal direct, cutting out the middleman, Passing the huge savings directly to you, our customer. IT’S JUST WHAT WE DO BEST…..
Our aim is to supply clients with outstanding quality products with a full fitting service at the very best prices. 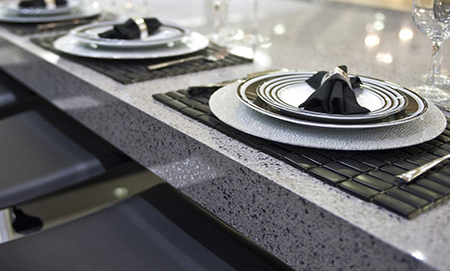 We can supply over 500 different Granite and Quartz worktop colours, including several surface finish options, all handpicked from the best quarries and quartz suppliers on a global scale to give you the widest choice possible. With the biggest named brands behind us such as Silestone, Caesarstone, Samsung, Technistone , Diresco and Cimstone we are sure to have a colour to suit your décor. Take us with you on the move. Get our new mobile app ! Steve and Leigh At Tithebarn House. Copyright © 2013 Finch's Stone & marble Ltd. All rights reserved.